Small things often make big impressions. So it is with Hilo's Lyman Museum, originally the home of 19th-century Congregationalist missionaries David and Sarah Lyman and their family. Hours: 9:30 a.m. to 4:30 p.m. daily except Sunday and major holidays. Thirty-minute guided tours are at 10 and 11 a.m. and 1, 2 and 3 p.m. Admission: $10 for adults, $8 for 60 and older, and $3 for ages 6 through 18. Kamaaina rates are $8 for adults and $6 for seniors; kids pay the same price. Call for group rate and private tour information. Notes: Lyman Museum also offers walking tours of historic downtown Hilo; outreach educational programs for children at the museum or at schools; and maintains an archive of historical Big Island documents, books and photographs. The archive is open free by appointment only. In a curio cabinet near the sitting room is a collection of delicate red, orange and yellow leaves from Vermont, where Sarah Lyman was born and raised. She used similar leaves to teach her eight children how nature changed when summer turned to fall on the East Coast. Her rocking chair is displayed in her bedroom along with the cradle she used to lull her children to sleep. In the parlor is a melodeon she enjoyed playing, and the family's wood-framed wall mirror hangs in the dining room. The two-story mission house, built in 1839, is on the state and national registers of historic places. The Lymans' descendants saved it from demolition and established it as a museum in 1931. Forty years later the two-story Lyman Museum building was built next to the house to provide space for additional exhibits. Associated with the Smithsonian Institution, the Lyman Museum and the mission house received accreditation from the American Association of Museums in 1973 as one of only four such museums in Hawaii to hold such a distinction (the other three are the Bernice P. Bishop Museum, Honolulu Academy of Arts and Mission Houses Museum in Honolulu). It's recognition that Dolly Strazar, president and executive director of Lyman Museum, doesn't take lightly. "Being accredited means that we're recognized as an institution that abides by the highest standards of the profession," she says. Walk through the facilities and you'll no doubt agree. The mission house is the oldest existing frame structure on the Big Island, and many of its original features have been preserved, including its ohia wood main beams, koa wood flooring, and mortise and tenon joinery. "We've even reproduced some of the same wallpapers that Mrs. Lyman had in the 1850s," notes Strazar. "The house gives us a valuable look back at the mid-19th century, and journals in our archive describe activities, events, earthquakes and eruptions as well as some of the feelings of people living in Hilo during that period." 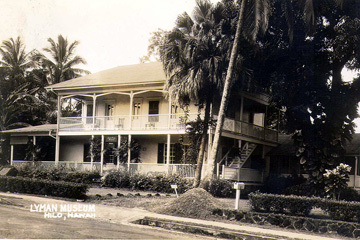 The Lyman House, shown here in the 1930s around the time it was established as a museum, was built in Hilo in 1839. 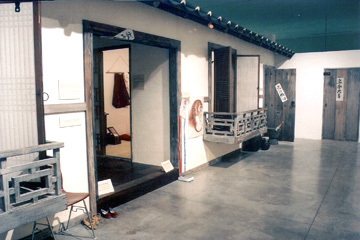 "Grandfather's House: An Exhibition on Korea" is a full-scale replica of a traditional Korean home from the 1930s. "Archipelago: Portraits of Life in the World's Most Remote Island Sanctuary" will be on view at the Lyman Museum from Dec. 21 through Jan. 27. The exhibit will feature 40 images of endangered animals and plants taken by award-winning photographers Susan Middleton and David Liittschwager in the Northwestern Hawaiian Islands, which stretch 1,200 miles northwest of Kauai. 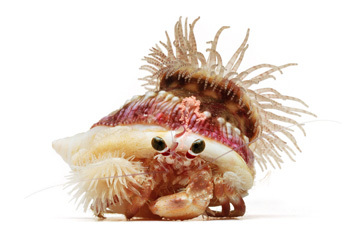 The photos, selected from their new book of the same name, recently released by National Geographic, are the result of four years of exploring the remote region aboard research vessels. 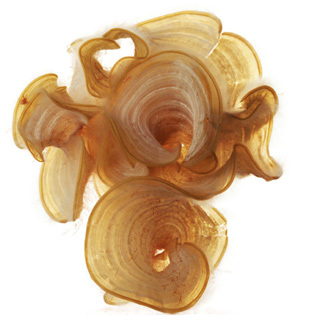 A grand oasis of life, the NWHI contain coral reef ecosystems that are among the world's healthiest and most extensive. The National Oceanic and Atmospheric Administration's NWHI Coral Reef Ecosystem Reserve was created by Executive Orders in 2000 to protect these living coral reef colonies -- one of the last wild, still-thriving coral reef ecosystems on the planet. The marine region is home to more than 7,000 species, including marine mammals, fishes, sea turtles, birds and invertebrates. 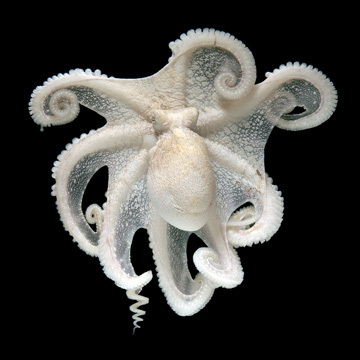 At least one-quarter of these creatures are found only in Hawaii; many are threatened or endangered. The reserve is sponsoring a statewide tour of this exhibit to raise awareness about NWHI. As the largest conservation area in the country, it is now undergoing a public process to be designated the country's 14th national marine sanctuary. For more information, go to hawaiireef.noaa.gov. 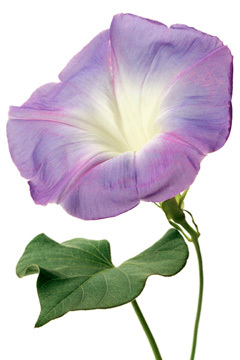 and Morning Glory, koali 'awa, Ipomoea indica.